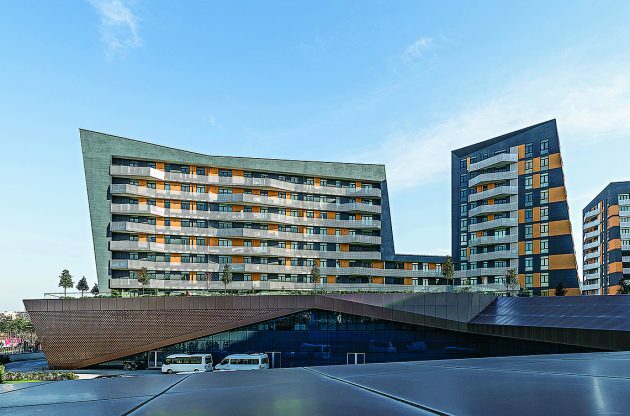 Selcuklu Vadi is a project in the Sancaktepe district of Turkey’s capital, Istanbul. 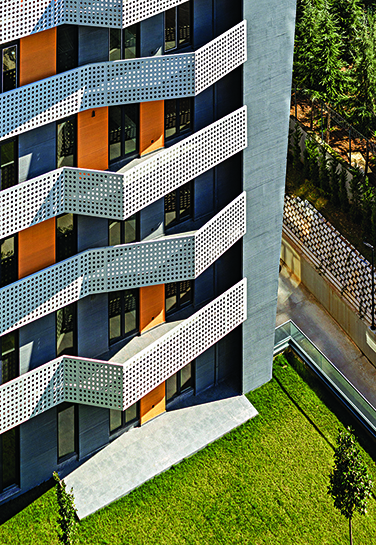 It is a project by TAGO Architects, a studio whose work we’ve featured before in the form of the Maya Residence in Istanbul. 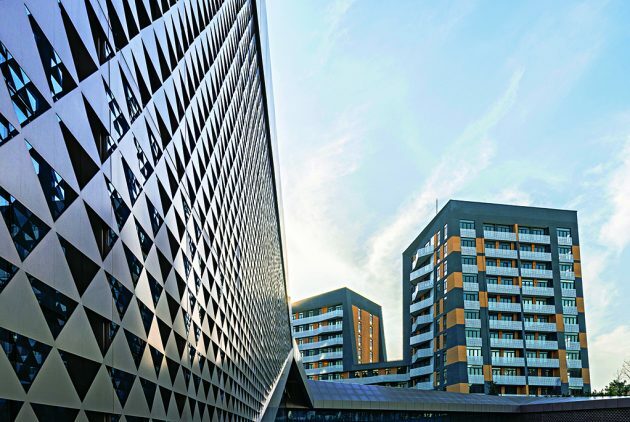 This time, they’ve undertaken a much more ambitious project – a multi-use building that offers unusual perspectives onto its location with its sculptural form, dynamic mass and facade organization. 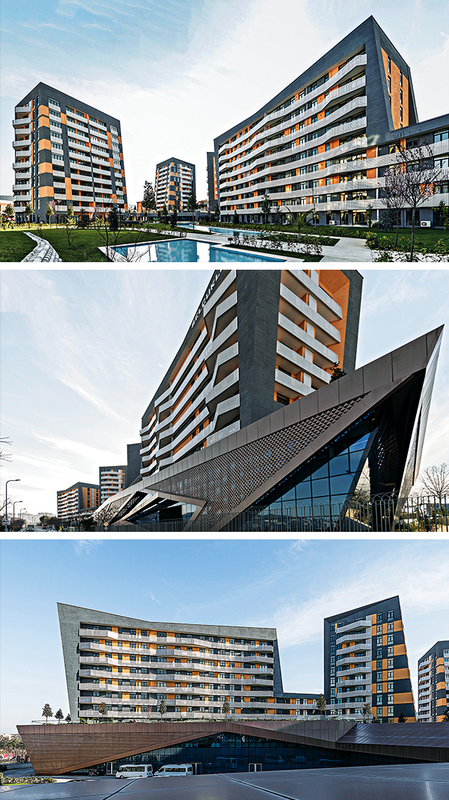 Designed by Tago Architects, Selcuklu Vadi consists of eight blocks with a total construction area of 110.000 sqm. 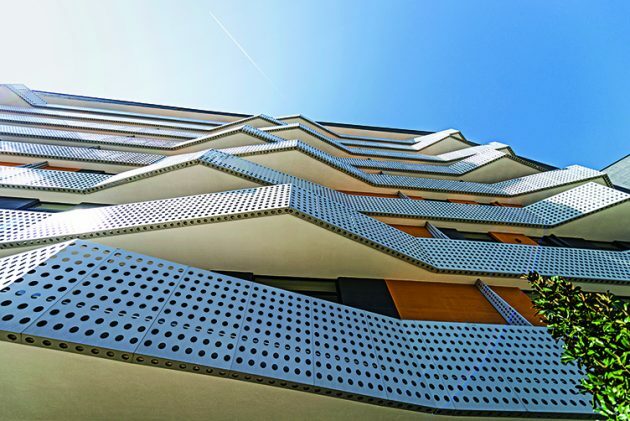 With its sculptural form, dynamic mass and façade organisation, it offers unusual perspectives onto its location. 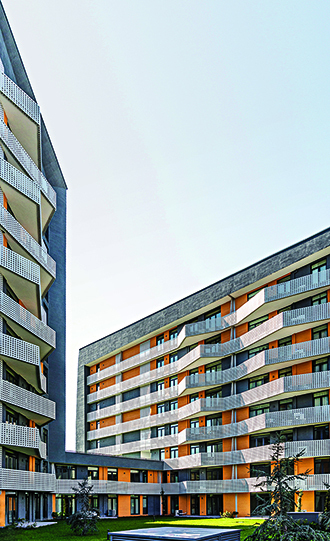 Selcuklu Vadi is a pioneer in the newly developing property investment areas in the vicinity. 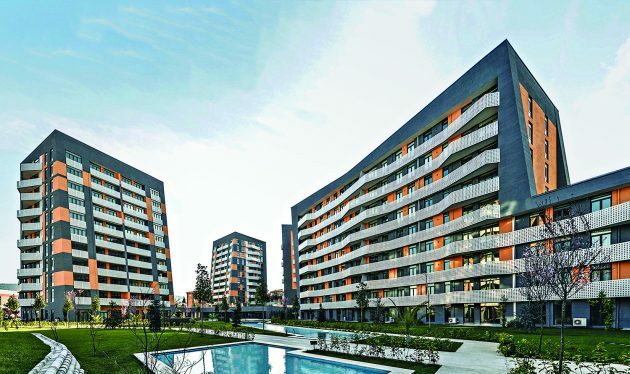 Located in Sancaktepe, very close to the bypass and Trans-European Motorway access roads, and to the underground railway line which will soon pass in front of it, the estate will offer users the advantages of easy access. 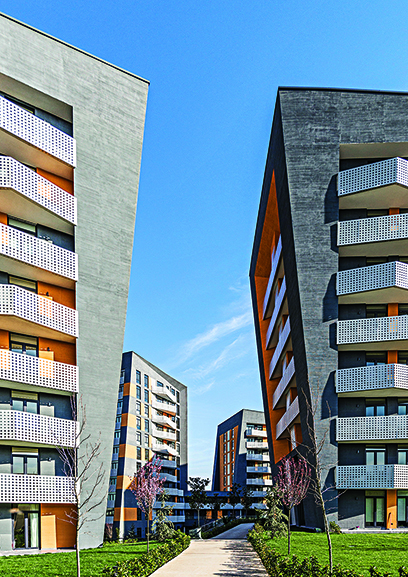 The project began when Selcuklu Vadi decided to build a residential estate on its own land, as the company’s first investment in this sector. The client wished the residential project to reflect the company’s corporate image, and to include the company’s offices and pharmaceutical depot. Perception of the project from surrounding roads and particularly from the motorway was a very important criterion in design decisions. 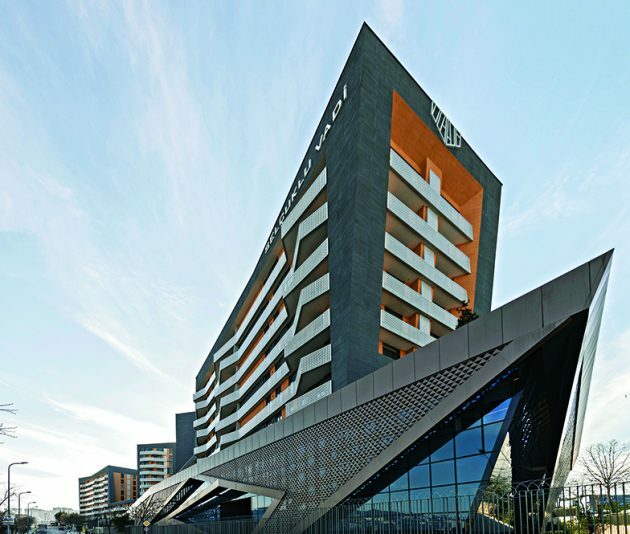 It was observed that similar projects tended to be arranged around a central plaza and so closed to the outside, but for the Selcuklu Vadi project a more transparent relationship was decided upon. 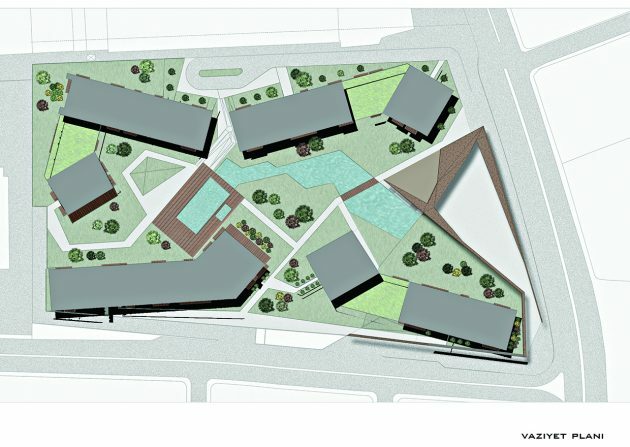 It was designed so that the dynamic mass and façade layout could be perceived from eye-catching perspectives, from the main and secondary roads around it. 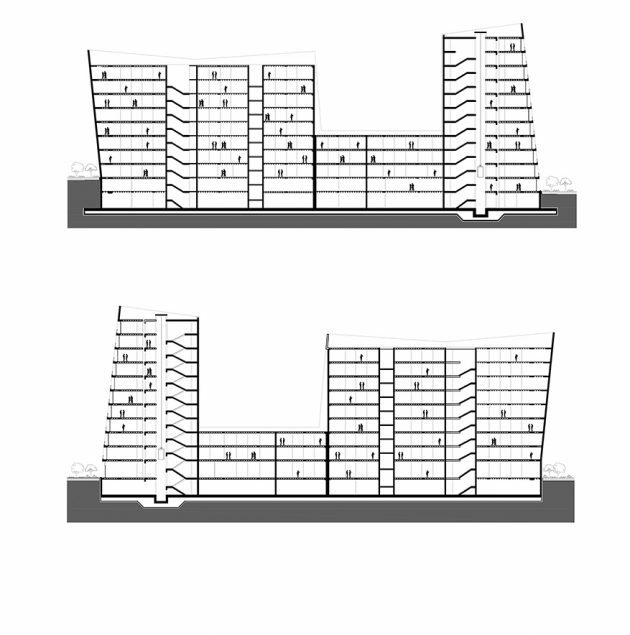 Relationships of the buildings with one another were organised to optimise neighbourly relations both with respect to the plan and on the vertical plane. 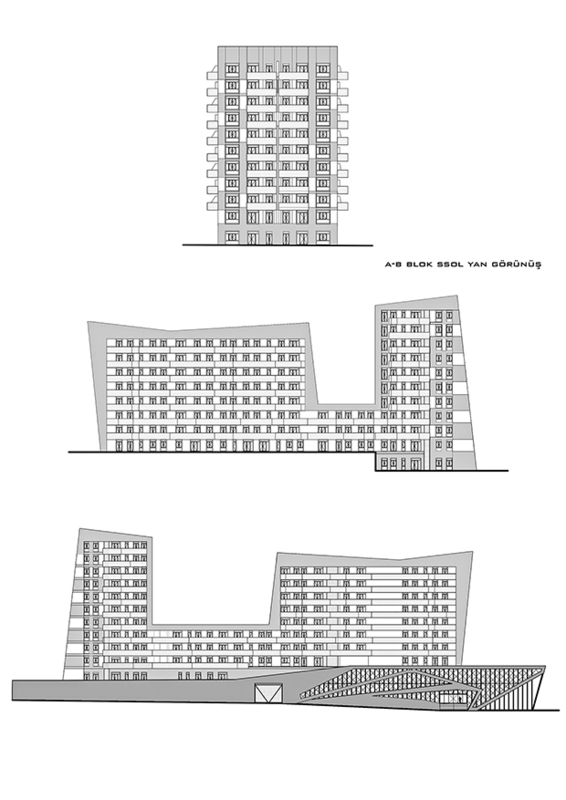 By ensuring visual continuity on the horizontal plane, a sculptural form with a strongly articulated mass was achieved. 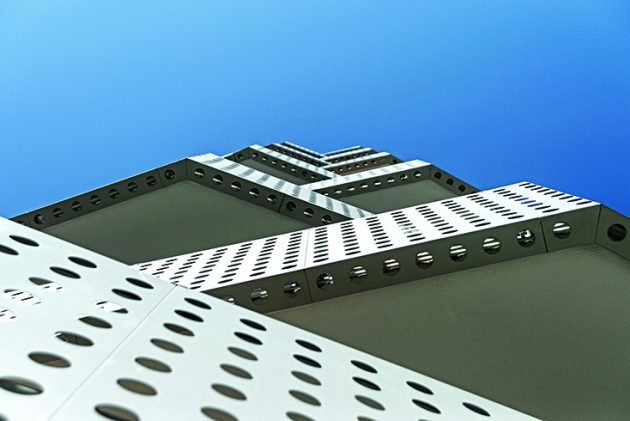 The façade system was articulated according to functions within the building, so that it had different perspectives from every angle, and was designed to meet both aesthetic and functional criteria. 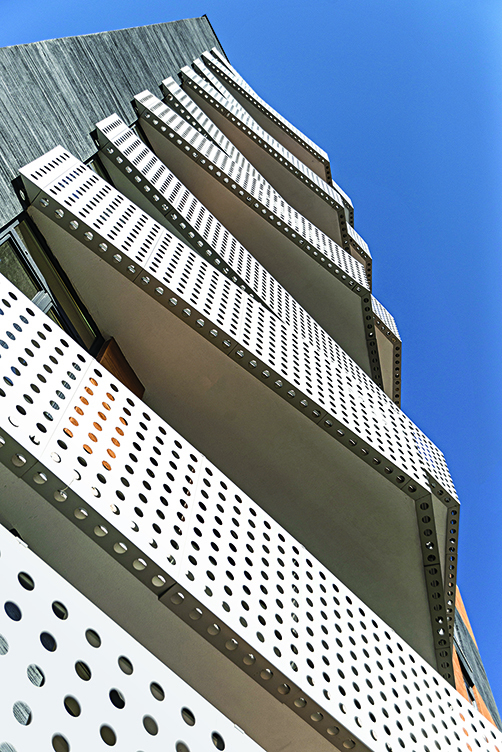 Tago Architects created movement on the façade by broadening and narrowing the balconies at different points that were related to the interior layout. 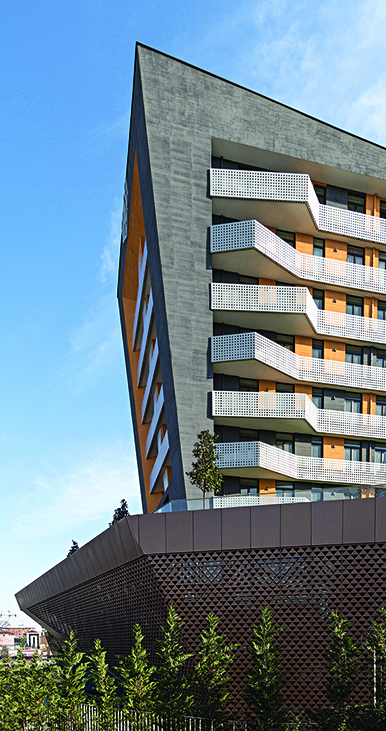 The corten facing on the façade was one of the elements of the project having the greatest impact. This facing continued without interruption on the mass at a lower level, so providing an architectural idiom that distinguished offices from residences, thereby defining the building’s function in formative terms. The level of the secondary road was taken as the basis for landscaping the grounds of Selcuklu Vadi and carried into the project area. 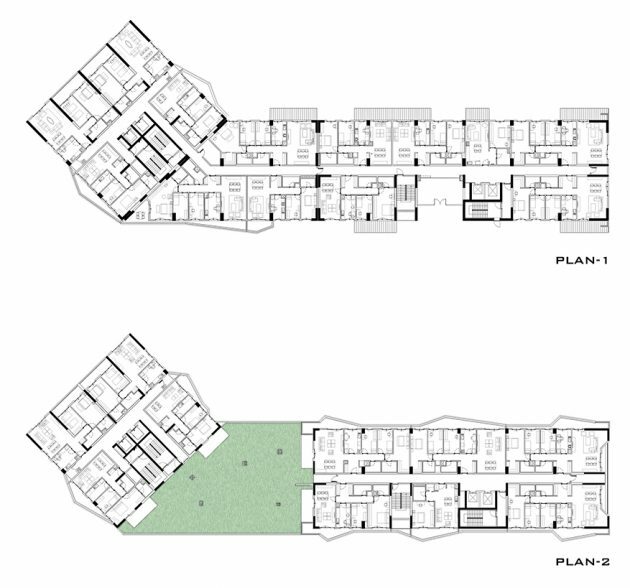 In this way a difference in level between the main road and the project area was formed, and for the office and depot areas the design took advantage of this difference in ground level to separate them from the residential area. 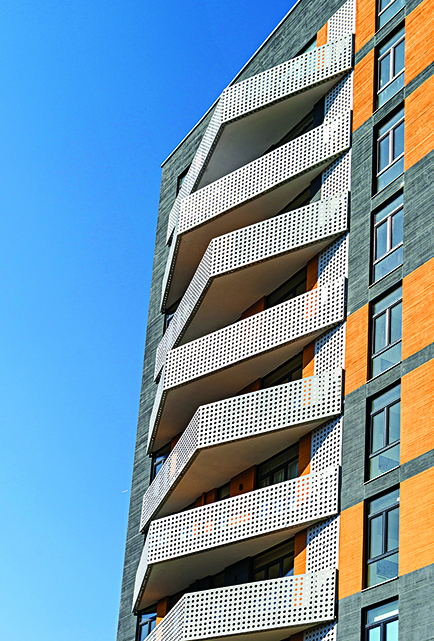 Selcuklu Vadi offers users a social and luxury living environment, many apartment types of different sizes, storage rooms and car parking for each apartment, closed and open-air community areas and an indoor sports hall.